This is my nephew Travis Frisk. He is 21 years old, a junior at UCONN studying Climatology. He was on track to graduate a semester early, already looking into graduate school, his goal is to work to protect our environment. He is a member of the National Honor Society and has made the Dean’s list every semester, definitely a bright future on the horizon. 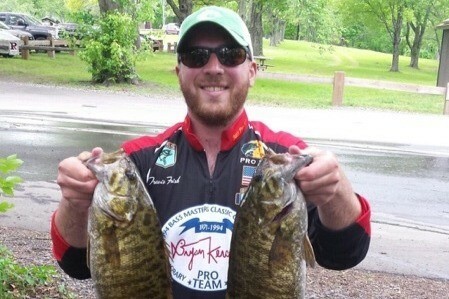 He has been involved with the CT Bass Nation for years, fishing is his passion, which would explain his interest in the environment. On March 30th he was diagnosed with cancer, at that point it was not classified, since then he has learned he has a rare sarcoma, testing is still being done for a final classification. He has started treatment, chemotherapy at Smilow Cancer Center in New Haven, which will continue for a year. In just the first week of treatment the out of pocket expenses are climbing, and will continue to grow for the next year. Please consider making a donation to help cover the medical expenses not covered by insurance. This is going to be a long journey for Travis and his family any help would be appreciated and go to the medical expenses only.